For some women, going through the menopause can be hell. But there are ways in which we can help ourselves glide through this natural period of transition with grace, understanding and the minimum amount of physical and emotional upset. Seriously, it can be done! The menopause is a natural, normal process. It is one of many transitions in life that women’s bodies adapt to. Strictly speaking, this period of change and adaptation is known as the perimenopause, as it can span a number of years. These include changes to the menstrual cycle (periods can become less, or more, frequent; heavier, or lighter), anxiety, irritability, mood swings, depression, poor memory and concentration levels, sleep problems, fatigue, loss of libido, hot flashes, night sweats, dizziness and palpitations, vaginal dryness and soreness, urinary problems such as cystitis and thrush, and stiff, aching joints. Some women experience the odd symptom or two, and others, unfortunately, have a really tough time of it. Reasons for this include factors such as how much stress they have in their lives, and more importantly how they manage this, along with many other lifestyle factors. Diet also plays a very important part in preventing and relieving symptoms associated with the perimenopause. 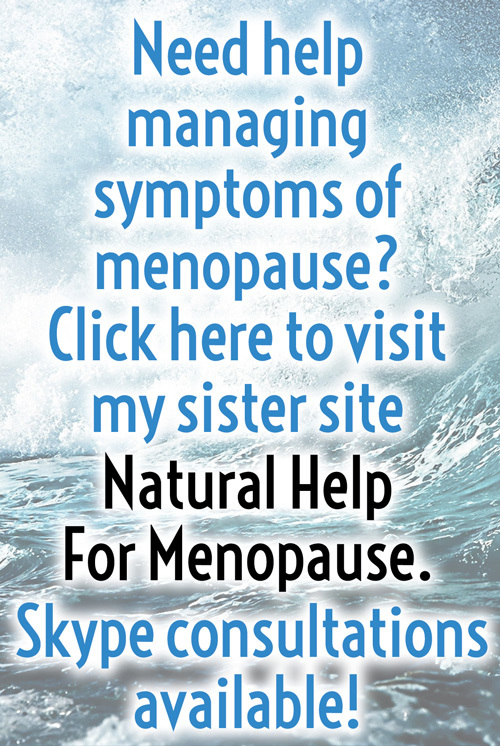 There are many herbal remedies that really do work like magic when it comes to relieving menopausal symptoms. But here’s the thing: they are not a magic bullet. They work best when used in conjunction with a healthy diet and lifestyle. They help to support a woman both physically and emotionally as her body adapts to its changing status, making it a smoother, easier ride, if you like. There is a group of plants called phyto-oestrogens, which behave like oestrogen and help ease the adjustment period, and relieve symptoms of the perimenopause. These plants are sometimes referred to as natural hormone replacement therapy, or natural HRT. The distinction between these and pharmaceutical HRT is that phyto-oestrogens are natural compounds, not synthetic or chemical substitutes, and that they do not ‘replace’ oestrogen. Without wishing to get too complicated, they work on different oestrogen receptor sites in the body. There are many other herbs that can be extremely useful during the perimenopause. For example, by supporting the digestive system, the nervous system (moods, emotions, sleep etc), and the musculoskeletal system (aching joints and muscles), by boosting memory and concentration, and helping us cope with fatigue. There is also a group of medicinal plants known as adaptogens which, as the name suggests, help us adapt to changing circumstances, physically, emotionally and spiritually. Black cohosh (pictured above) is one of the most widely researched medicinal plants associated with menopausal symptoms. I have supported many women through this natural transitional period, seeing women as patients, writing articles, giving talks and running workshops, and by being a woman who has been through menopause herself. I have also helped women withdraw from hormone replacement therapy (HRT), for which herbal medicine, in combination with a healthy diet and lifestyle, can be very effective. Taking a natural approach, using diet, lifestyle and herbal remedies, is also a positive strategy for women who are going through an early menopause, due to health problems or genetic factors. I do consultations via Skype, FaceTime, telephone and, if you live in travelling distance, face-to-face in Cornwall. I am always available in between consultations, while I support you through the perimenopause. My next workshop, for those who live in Cornwall, is on Saturday March 19th 2016, 10am-12.30pm, at the Inspiring Health natural health clinic,17 Fish Strand Hill, Falmouth TR11 3BD. As the workshops are for small groups only, booking is essential. Please phone 01326 212112 or email info@inspiringhealth.org.uk to book your place. 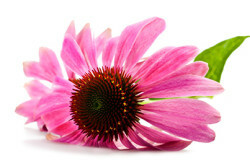 For more information about me, and herbal medicine, please visit my website at www.deannegreenwood.com. Or email me at deannegreenwood@me.com.